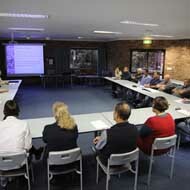 The conference room at Glendarra 2 is an excellent facility for seminars and training. 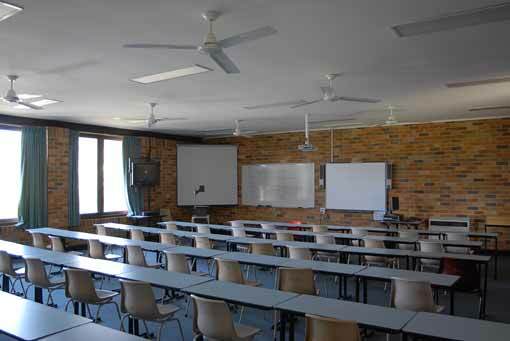 It is in a quiet rural location across the road from the College campus and contains typical classroom facilities (data projector, whiteboard, overhead projector, slide projector, television and video). 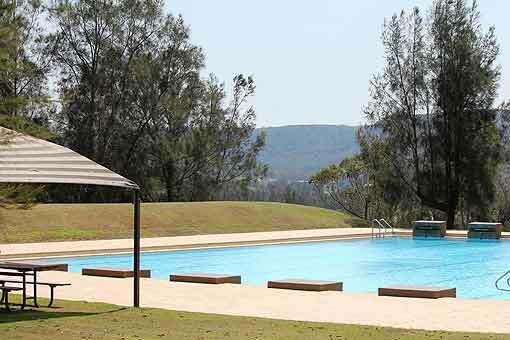 easy acess to the Hunter Valley vineyards and heritage areas of Paterson and Morpeth. 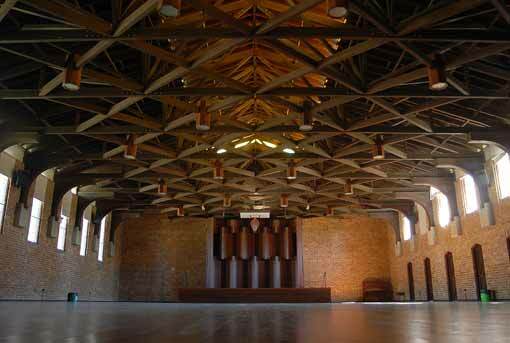 The Tocal Function Centre is also available for conferences and functions. 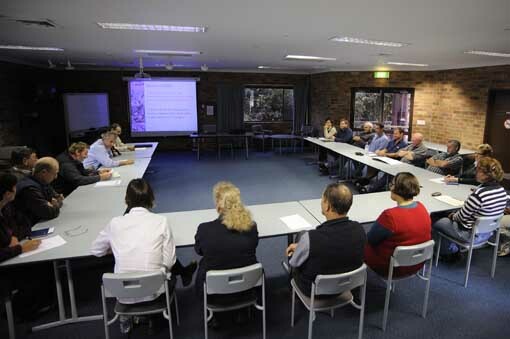 Several facilities at Tocal are available for use as meeting rooms and training facilities including:. 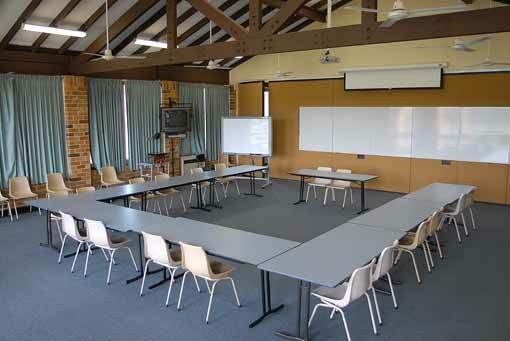 The conference room at Glendarra 2 which can accommodate 100 people in a theatre style arrangement. 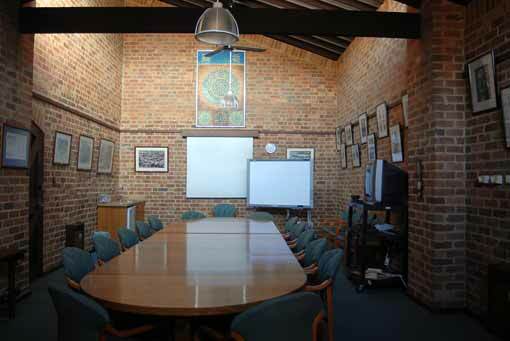 The Tocal Court Conference Room is available for meetings (capacity 20). This is a boardroom style room. 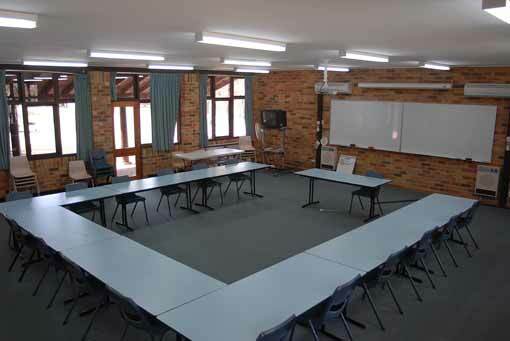 There are several classrooms throughout the College campus that are also available for use by groups (capacity ranges from 35 to 50). These rooms contain normal classroom facilities. Bookings for these rooms are coordinated around student use of the rooms. 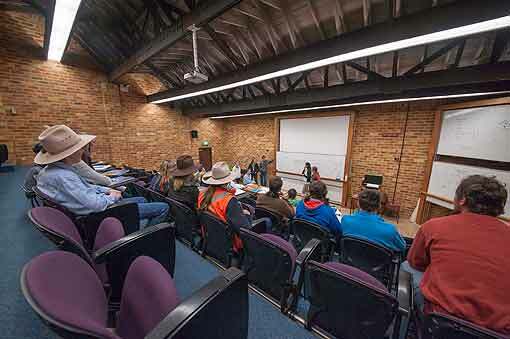 The EA Hunt Hall (capacity 300). Note: Rooms booked for multiple days will be charged as a one-off fee, provided the room does not require extra cleaning each day. Photocopying is available at an additional cost. 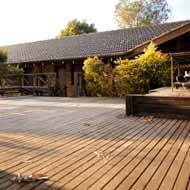 There are several standards of accommodation available at Tocal. Availability of accommodation depends on student numbers, the Domestic Services Manager will be able to advise you on numbers of rooms available. 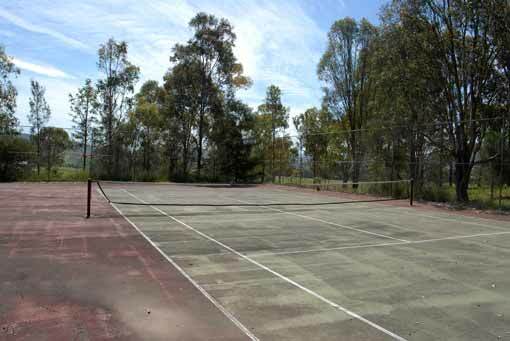 Both Glendarra 1 and Glendarra 2 are located across the road from the College campus in a quiet rural setting. 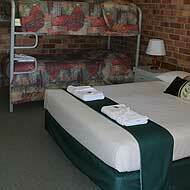 Accommodation at Glendarra is in motel style rooms. The rooms have tea and coffee making facilities, bar fridges and access to a common room but do not contain phones. Some rooms have televisions. There are 15 rooms at Glendarra 2. Four rooms contain a double bed and a double bunk, two rooms have a double bed and one single bed and the remaining nine rooms contain three single beds. 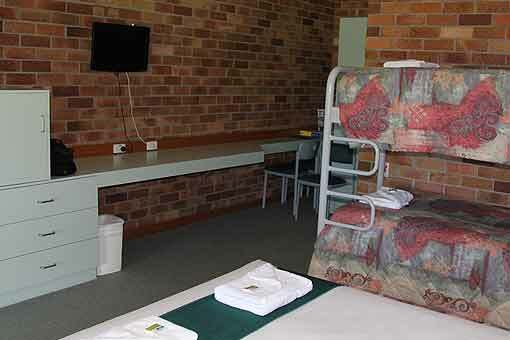 The complex also contains a conference room with a fridge, microwave and sink area that is usually available for use to residents of the accommodation (providing the room is not booked to another group). There is one room that is accessible by wheelchair. 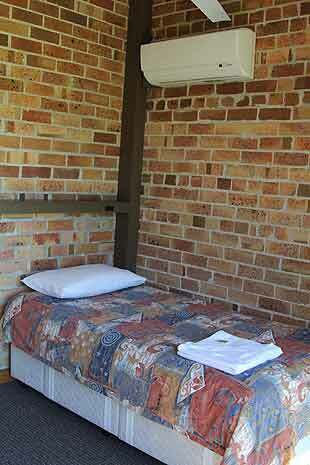 There are 9 rooms at Glendarra 1 available during College holidays; all are single rooms with a small bathroom. The rooms at Glendarra 1 are slightly older than Glendarra 2. There is a common room with a television and kitchenette containing a fridge, stove and sink in the same building as the rooms. There are two flats located on the College campus adjacent to the main entrance. The flats contain two single beds, a bar fridge, bathroom, and television. There are 90 student rooms on campus. For the majority of the year these rooms are fully booked to the students though may be available to groups during College holidays. They are single rooms and contain no facilities. There is two shower/toilet blocks located at either end of the student area and a self-service laundry. There are two cottages with ten single beds each. 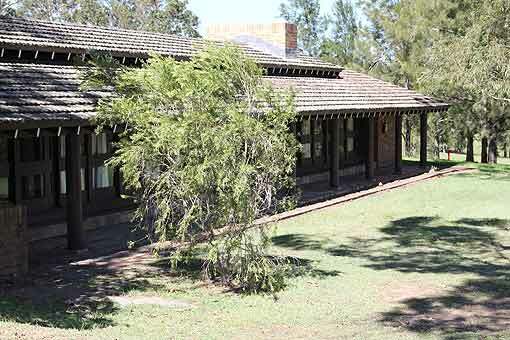 The cottages have small kitchens and a lounge room. Great for groups who don't mind sharing. Camping is generally not permitted on Tocal. 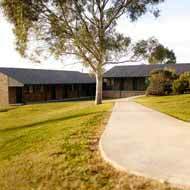 Tocal College, Yanco Campus offers motel units or bunkhouse-style accommodation for short course and conference participants. 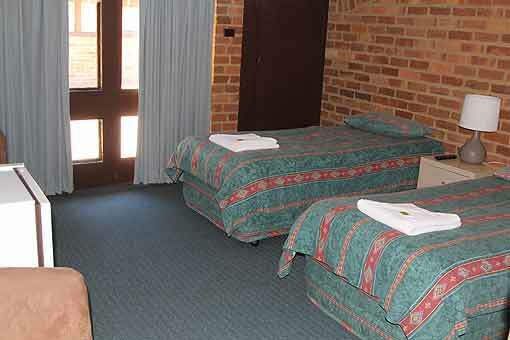 For accommodation bookings at our Yanco Campus contact 02 6951 2696 or email yai@dpi.nsw.gov.au. 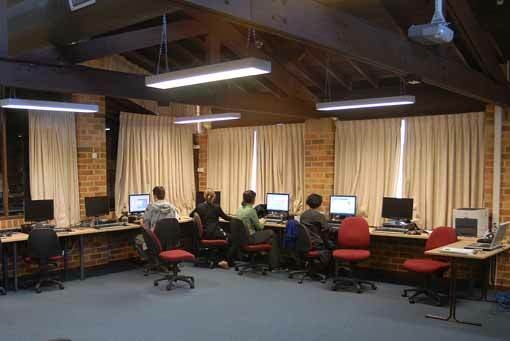 The Tocal Dining Room is available for meals to both residents of accommodation and groups using College facilities (meeting rooms and tours). As with many other College facilities use of the dining hall is coordinated around the students and so meal times are quite structured. The dining room is able to cater for groups using meeting facilities and will set up for coffee/tea on arrival, deliver morning and afternoon teas, as well as lunches. Meals taken in the dining hall follow the menu set for the students and will usually include a choice of two cooked dishes and dessert. 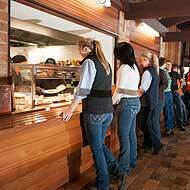 Breakfast, lunch and dinner is available at set times through the day. Times for meals delivered to a meeting room can vary from the dining room timetable and are generally either a sandwich lunch (including a fruit platter) or hot finger food (eg mini pizzas, mini quiche, spring rolls etc). There is a small surcharge for meals on weekends. 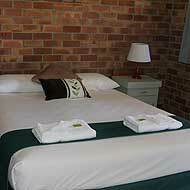 Contact the Domestic Services Manager regarding charges, bookings and more information.